in.xe offers an impressive list of technical features and a full range of popular configurations. It is the most advanced solution for entry-level to mid-range spas with accessories. 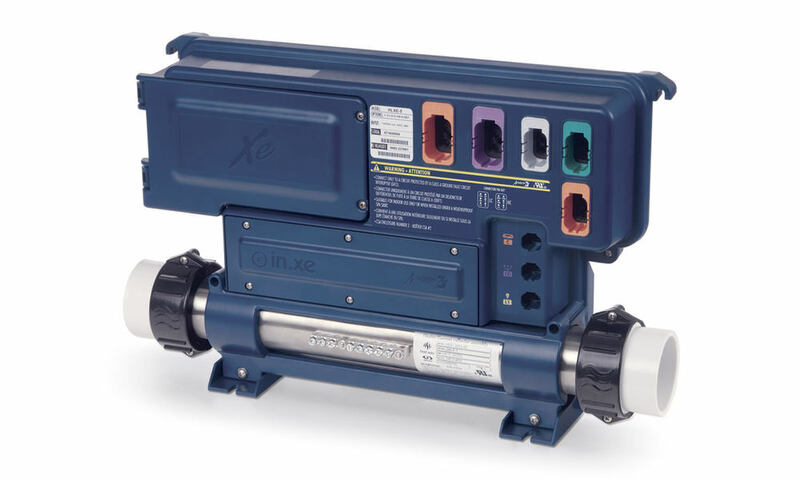 Available in both UL and CE versions, in.xe is the newest addition to the best and most advanced spa systems and accessories in the spa and hot tub industry. Our new and innovative in.xe spa pack platform is really compelling. In.xe's design focuses on features and functions that appeal to every player in the industry, from the spa manufacturer decision maker to the end user. Built to take full advantage of Gecko's advanced electronics, in.xe caters to reason as well as to emotions, conveying a definite statement of reliability, safety and ease of use. Like in.xm, its bigger brother, in.xe is sturdy, compact and thin. Its small footprint makes it a perfect fit in any crowded spa equipment compartment. Its dimensions respond to industry expectations for packs designed for entry-level spas and hot tubs. It can be installed on the floor with a bracket securing its position or wall-mounted. 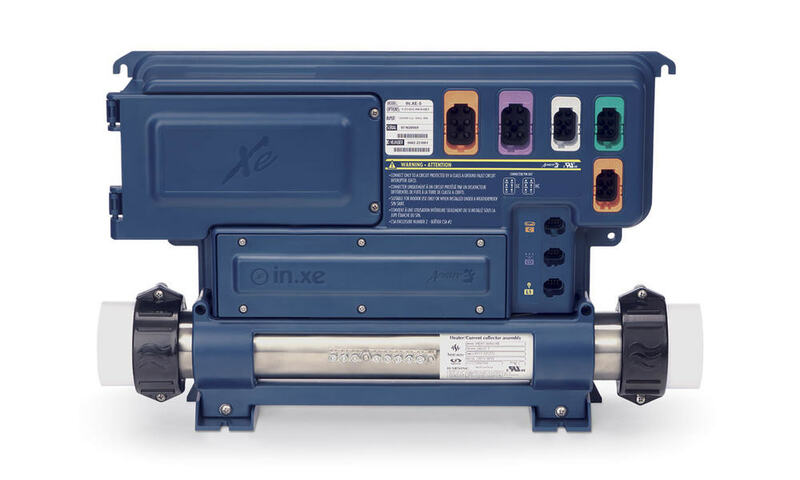 In.xe offers a full range of popular configurations and can power spas equipped with a single or dual pump system, a blower, a circulation pump, an ozone generator, a mood light and a heat.wav heater. It can also command peripheral accessories through its communication link connector.